Farber's thesis is the the Cuban Revolution and Cuban communism are the product of a de-classed authoritarian populist movement. Counters ideas of both the left and right that argue Fidel was a conspiratorial communist all along, or that US imperialism pushed Cuba into the Soviet camp. 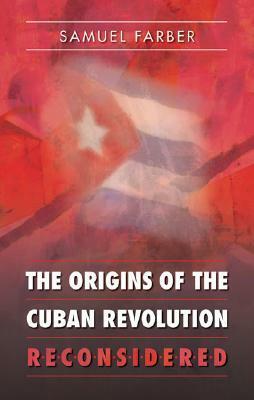 I agree with Farber's argument, but this is not a comprehensive picture or history of the Cuban revolution. And a lot of his assertions, especially when discussing Fidel, are not backed up with sources or facts. Little discussion of the accomplishments of the revolution, even in its first year. Interesting look at the factors that "made" the Cuban Revolution. Has a good, unconventional perspective, but the way the material is arranged (topically, rather than chronologically), Farber tends to repeat the same basic points from different angles. Worth reading but only if you've read another book on the Cuban Revolution.